Xiaomi MIUI Official Forum › General › News › [Poll of The Week #2] What is your favorite underrated feature in Android 9.0 ? Last week we discussed about How Long Have You Owned Your Current Smartphone? Here are the poll results. From the results of the poll, Most of our fellow MIUIers are using new mobile phones (less than 6 months old). Thanks for all those who participated in the Poll. This week, the poll is about the most underrated features in Android 9.0 pie. Android 9.0 Pie is packed full of big new features like Digital Wellbeing, a new Material look and feel for the OS and gesture navigation. But as is the case with every major OS release, there are a bunch of little features that don’t make the headlines. They’re not particularly known, but they can be super useful. These are the features like the new smart rotation button, which will prompt you to rotate your phone to landscape mode if you happen to have auto-rotate turned off. It’s the temporary rotate button I never thought I needed. Google also added a handy little magnifier when you highlight text, which makes it much easier to not make mistakes when you’re trying to copy/paste something. 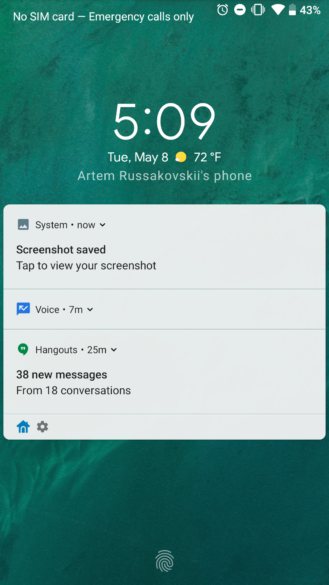 In Android Pie, DnD mode now silences phone calls, texts, and visual interruptions that pop up on your screen — even low-priority notifications. If you liked using weather widgets on your lock screen, you'll be happy to know that Android P now displays the weather underneath the clock. Android pie also provides a support for HEIF (High-Efficiency Image Format). What’s your favorite little-known Android Pie feature? Vote in the poll below, and feel free to leave a comment if your favorite feature isn’t included. You can choose any 2 options. will we ever get this version of android ?